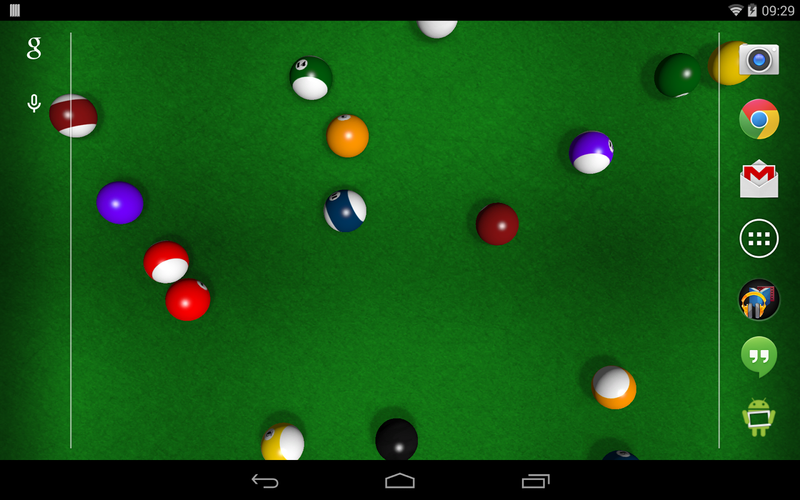 We were surprised to find that there wasn't much for billiards simulations up on Play, especially when it came to live wallpapers, and so figured it'd be fun to put one together quick. At this point we've done a few different projects for third parties that leaned on physics of one type or another -- shooting basketballs, that sort of thing -- so we had the experience, and things came together quite fast. The result is a good looking, accurately physics-simulated pool table, which honestly is a pretty fun toy to have running in the background. We took a few different passes at the ball rendering and have a nice glossy, correct looking result to go along with this, and you can customize the felt color and ball appearances as well! Interaction is simple, just swipe over a ball (just the cue, by default) and it'll go flying in the appropriate direction. This is a bit touchy but works well as a background toy, and I'm hoping folks agree!